903 Sims Ave #C, Mountain Brook, AL.| MLS# 837398 | Richard Jacks UABLIVING.com 205-910-2297 | Birmingham AL Real Estate | Contact us to request more information about our Homes for Sale in the Birmingham AL area. LOCATION, LOCATION, LOCATION!!! 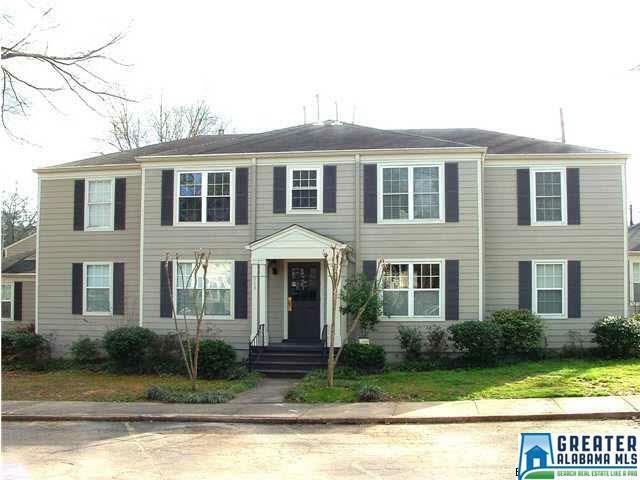 This charming Crestline condo is within walking distance to Crestline Village. You will love the convenience to shopping, restaurants, parks, library & more! This second floor unit is MOVE IN READY with two bedrooms, 1 full bath, & an updated kitchen featuring NEW STAINLESS APPLIANCES, BUILT-IN MICROWAVE, NEW HARDWOOD FLOORS & NEW GRANITE COUNTERTOPS! You&apos;ll also find beautiful hardwood floors in the family room & bedrooms along with all NEW DOUBLE-PANE WINDOWS, crown molding & neutral paint throughout. Laundry closet accommodates full sized washer & dryer plus shelves for storage too! Enjoy the pool & common areas with your friends & neighbors without the hassle of maintenance! Monthly Assoc fee includes monthly pest control, yard & pool maintenance, garbage, & insurance on exterior of building. YOU DON&apos;T WANT TO MISS THIS RARE OPPORTUNITY FOR SUCH AN UPDATED & MOVE IN READY UNIT! COME SEE IT TODAY!!! Driving Directions: From Crestline Village Take Euclid Towards Montevallo Rd. Turn Left Into Foxhall Manor And Left Onto Sims Ave. Building Is On The Left.